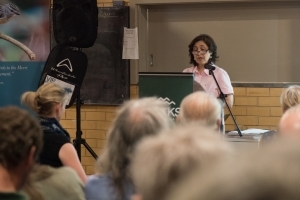 Victoria’s environment minister Lily D’Ambrosio speaking at a recent networking forum. In this edition of FriendsNet, read about VEFN’s new Constitution; nominate for the 2018 Best Friend Awards; Victorian Mallefowl recovery Group and new grants available and other stories. Suggestions for articles for FriendsNET are welcome. Please email to friendsvic@hotmail.com . If you want to include photos, please send as separate files in jpeg format, preferably in landscape.